The Coast Guard has issued a new Strategic Plan for the next five years. It is an amplification of the new Commandants mantra “Ready, Relevant, Responsive.” I’m always a little dubious about these sorts of document since, frequently they look more like public relations documents than real plans, but this may have some actual clues that point to changes of emphasis and direction. 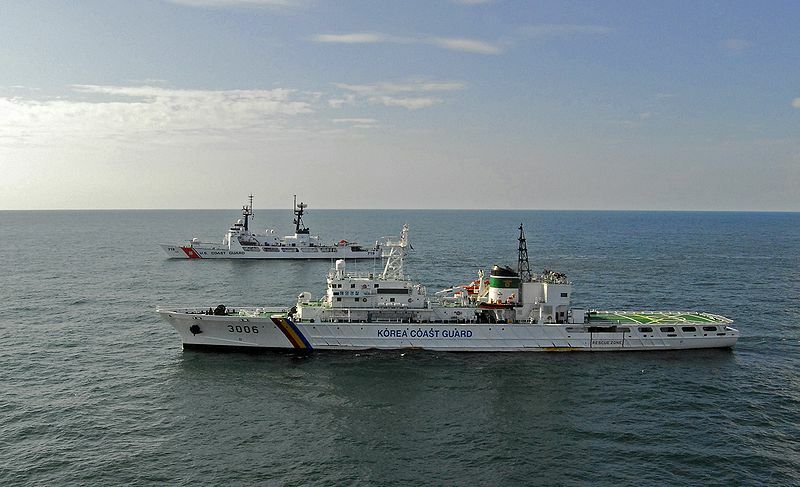 The plan continues the previous Commandant’s intention to counter Transnational Criminal organizations, but there seems to be an increasing emphasis on the Coast Guard’s role in emerging great power competition. There is again emphasis on cyber. There is recognition that our disaster response role has now become increasingly routine. The increasing severity and scale of catastrophic incidents is another reality. Coastal regions are densely populated, and ports have become heavily developed. Catastrophic events, whether man-made or natural, can have enormous consequences to our coastal communities and disrupt regional and global commerce. Recent hurricanes, floods, and other maritime disasters have reinforced the Nation’s need to prepare for the size and impact of such incidents. There is recognition of increasingly global deployment of Coast Guard assets. The Coast Guard is deployed globally to promote peace, fortify alliances, attract new partners, and challenge threats far from U.S. soil. For example, we provide United States Southern Command (USSOUTHCOM) detection, monitoring, and response capability in the Western Hemisphere to combat transnational crime in the Transit Zone while building the interdiction and crisis response capabilities of our partner nations. In United States Northern Command (USNORTHCOM), our Rotary Wing Air Intercept assets and Maritime Security Response Teams rapidly deploy as singular elements or as a supplement to joint- force packages in support of Homeland Defense missions. As the Federal surface presence in the Arctic, we advance safe, secure, and environmentally-responsible maritime activity by improving awareness, modernizing governance, and broadening partnerships. In the Indo-Pacific, we are actively building partner capacity and theater security cooperation throughout the region to enhance maritime governance and bolster stability in collaboration with United States Indo-Pacific Command (USINDOPACOM). In United States Central Command (USCENTCOM), our patrol boats and advanced interdiction teams conduct maritime security operations in the Arabian Gulf. Along the West African coast, we support United States Africa Command (USAFRICOM) to strengthen partner-nation capability for self-policing in order to thwart transnational threats such as piracy, illegal fishing, and contraband trafficking. Among the many bulleted action items there are a few that might indicate change of direction. Are these looking perhaps at the South China Sea or the West Africa’s Gulf of Guinea? • Connect our capabilities with other DHS components to further DHS strategic priorities. Looks like generally, continuity with long established priorities, and recognition of some new unfortunate realities. What is missing is the hard decision to reinstate the Coast Guard’s ASW mission.